1096 Cuman-Kipchak (Kypchak) attack Kiev. rights to obtain the throne in Kiev. (II) and his Cuman-Kipchak (Kypchak) allies. to Vladimir (in modern day Russia). formally ends Kiev's local autonomy. 2 May 1648 Hetmanate rebellion against Poland begins. Treaty of Pereyaslav (signed 8/18 Jan 1654). Right-Bank Hetmanate (west of the Dnieper). occupied by the Ottoman Empire. 3 Aug 1775 Hetmanate fully incorporated into Russia. and Kiev (Kyyiv) from 9 Feb 1918.
government moves to Zhitomir [Zhytomyr]). the fall of Lugansk (Luhans'k). 29 Apr 1918 Ukrainian State (under occupation). 18 Dec 1918 - 8 Apr 1919 Allied Powers occupation of Odessa. 5 Feb 1919 Soviet Russian forces occupy Kiev. 10 Mar 1919 Ukrainian Socialist Soviet Republic. (in Odessa 18 Aug 1919 - 7 Feb 1920). (Kyyiv) 16 Dec 1919, Odessa (Odesa) 7 Feb 1920.
last session on Ukrainian soil. 30 Dec 1922 Founding component of the Soviet Union. S.S.R. )(previously part of Poland 1920-1939). terminated by German occupation forces. and Crimea remain under German military rule. 1944, and Uzhgorod 28 Oct 1944). 26 Apr 1986 Chernobyl' (Chornobyl') nuclear plant disaster. 16 Jul 1990 Declaration of state sovereignty. (ratified by referendum on 1 Dec 1991). 21 Mar 2014 Russia annexes Crimea (not recognized by Ukraine). (1027-1076), and Vsevolod Yaroslavich (I) (1030-1093). established first at Novgorod, then from 882 at Kiev. Grand Prince is moved to Vladimir-Suzdal' (see under Russia). 2 May 1648 Rebellion against Poland begun. Kiev, Bratslav [Bracław] and Chernigov [Czernihów] voivodships). 28 Sep 1651 Bratslav and Chernigov restored to Polish administration. Hetmanate on the Right-Bank (west of the Dnieper River). (partition confirmed by the Eternal Peace of 6 May 1686). 1669 - 1679 Right-Bank split into rival pro-Ottoman and pro-Polish camps. 1683 - 1685 Right-Bank again divided between pro-Ottoman and pro-Polish camps. 1708 - 1710 Brief attempt to assert separation from Russia supporting Sweden. under the protection of the Khans of Crimea and Ottoman Empire. Jul 1722 - Sep 1727 Direct Russian administration. exchange for serving under Russia. 1734 - 1750 Direct Russian administration. 3 Aug 1775 Incorporated into Russia. 30 Nov 1796 Kiev Governorate (within Russia) on the right bank of Dnieper. 3 Feb 1832 Kiev Governorate and Governorate-general of Podolia and Volhynia. 31 Jan 1865 Governorate-general of Kiev, Podolia and Volhynia. Note: Names are listed in Ukrainian with Russian in parentheses. Ukrainian and Russian BGN/PCGN romanization system. 20 Nov 1917 Ukrainian People's Republic. 22 Jan 1918 Independence from Russia declared. 29 Apr 1918 Ukrainian State (under Austro-German occupation). 14 Dec 1918 Ukrainian People's Republic (restored). Note: Ukrainian resistance groups against German occupation united as the Ukrainian Insurgent Army on 14 Oct 1942, which formed its political body in 1944. Resistance continued against Soviet re-occupation until 1954 when it was finally suppressed by Soviet forces. "White" Armed Forces of the South Russia. Ukrainian People's Republic). Popularly called "Makhnovshchina"
(Makhnovshchyna) and sometimes referred to as the "Black Army." Red Army continue from a main base near Gulyaypole. concluded, it is not officially published by the Bolsheviks. 28 Aug 1921 Makhno and the remains of his army leave Ukraine for Romania. Note: Names are listed in Russian with Ukrainian in parentheses. Ukrainian and Russian BGN/PCGN romanization system. government, subordinate to Soviet Russia. Litovsk and the fall of Lugansk (Luhans'k). Ukraine established (in Sudza, Russia exile). 30 Sep 1919 - 11 Dec 1919 Polity collapses following the departure of the government. on 1 Sep 1941 [see below]). 1 Jan 1990 Ukrainian is made the state language. 24 Aug 1991 Declaration of independence (Ukraine)(confirmed 1 Dec 1991). 10 Dec 1919 - Jan 1920 Vacant? Black Sea Fleet and Odessa District ("Rumcherod") organized. 14 Jan 1918 - 26 Jan 1918 "Rumcherod" occupies Bessarabia (see Moldova). a part of Soviet Russia. 13 Mar 1918 - 16 Dec 1918 Odessa occupied by Germany and Austria-Hungary. 18 Dec 1918 - 8 Apr 1919 Odessa occupied by the Allied and Associated Powers. 18 Aug 1919 - 7 Feb 1920 "White" Russian forces occupy Odessa. and parts of Kherson and Taurian provinces. 14 Feb 1918 Government (Regional Council of People's Commissars) formed. May 1918 Abolished by German invasion and occupation. Note: Names are listed in Ukrainian, romanization system BGN/PCGN. Territorial Disputes: 1997 boundary delimitation treaty with Belarus remains unratified due to unresolved financial claims, stalling demarcation and reducing border security; delimitation of land boundary with Russia is complete and demarcation began in 2012; the dispute over the boundary between Russia and Ukraine through the Kerch Strait and Sea of Azov is suspended due to the occupation of Crimea by Russia; Ukraine and Moldova signed an agreement officially delimiting their border in 1999, but the border has not been demarcated due to Moldova's difficulties with the break-away region of Transnistria; Moldova and Ukraine operate joint customs posts to monitor transit of people and commodities through Moldova's Transnistria Region, which remains under the auspices of an Organization for Security and Cooperation in Europe (OSECE)-mandated peacekeeping mission comprised of Moldovan, Transnistrian, Russian, and Ukrainian troops; the ICJ ruled largely in favor of Romania in its dispute submitted in 2004 over Ukrainian-administered Ostriv Zmiyinyy/Insula Șerpilor (Snake Island) and Black Sea maritime boundary delimitation; Romania opposes Ukraine's reopening of a navigation canal from the Danube border through Ukraine to the Black Sea; Ukraine, U.S. and most other nations do not recognize Russia's 21 Mar 2014 annexation of Ukraine's Autonomous Republic of Crimea and the municipality of Sevastopol', nor their re-designation as the Republic of Crimea and the Federal City of Sevastopol'. 22 Jun 1941 German invasion begins (Kiev on 19 Sep 1941). 1 Sep 1942 Former Kherson, Poltava and Zaporizhya oblasti included. administration (see under Soviet Union) by decree. and Mykolayiv 28 Mar 1944). 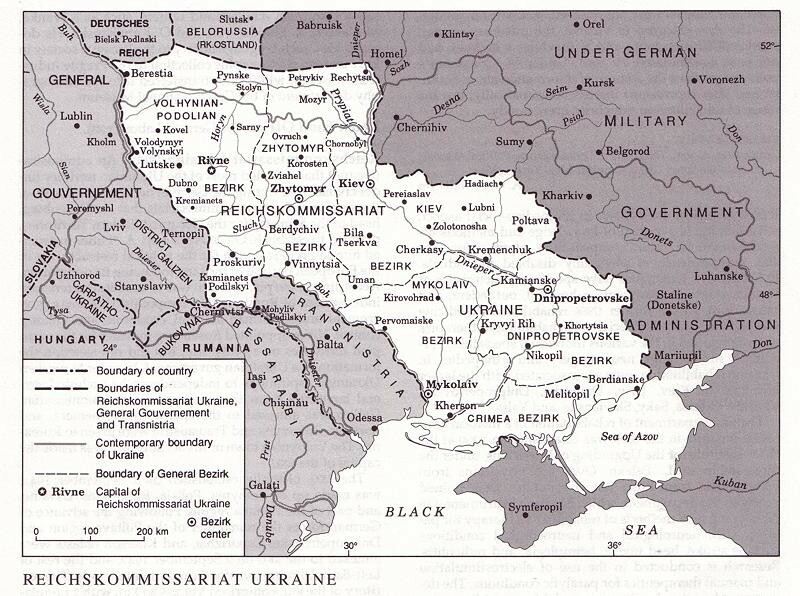 Reichskommissariat Ukraine exists in name only to 10 Nov 1944.
but not annexed by Romania. Transnistriei); Odessa occupied on 16 Oct 1941. 10 Apr 1944 Odessa liberated by Soviet forces. annexed by Austria in the First Partition of Poland. 30 Sep 1773 Galicia formally ceded to Austria by Austro-Polish treaty. 1 Nov 1786 - 8 Mar 1849 Bukovina incorporated into Galicia. 1 Nov 1803 - 14 Oct 1809 West Galicia (see under Poland) incorporated into Galicia. Jun 1809 - Oct 1809 Lwów and some other parts of Galicia occupied by Russia. of Schönbrunn (ratified 20 Oct 1809). 25 Aug 1815 New Style calendar re-introduced in re-incorporated parts. (administered by imperial Landes-Commissariat to 1 Nov 1815). 16 Nov 1846 Cracow Free City annexed by Austria is incorporated into Galicia. 21 Mar 1848 - 2 Nov 1848 Polish rebellion in Galicia. 29 Sep 1850 Imperial patent grants a constitution (cancelled 31 Dec 1851). 1 Sep 1860 - 9 Mar 1861 Bukovina subordinated to Galicia. 30 Oct 1860 Granted autonomy by imperial diploma (not effected). 26 Feb 1861 Partially autonomous. Grossherzogtum Krakau), made a crownland of Austria. the "Kingdoms and Lands Represented in the Imperial Diet"). Hungarian Provinces (Galicia and Bukovina). 4 Oct 1916 - 2 Aug 1917 Russian re-occupation of Tarnopol and some other parts of Galicia. 1 Nov 1918 - May 1919 Western Ukrainian People's Republic (see below). Conference of Ambassadors on 12 Mar 1923). Ukrainian S.S.R. in preparation for Soviet rule over Galicia. 25 Jul 1920 Soviet Russian invasion, failing to gain Lemberg (L'viv). 26 Jul 1920 - 19 Sep 1920 Soviet Russia occupies Tarnopol' (Ternopil'). 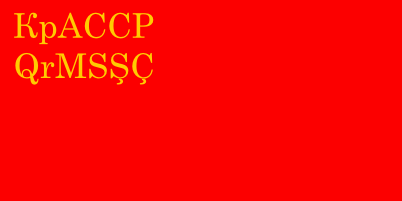 "Galrevkom" (Galician Socialist Soviet Republic). 15 Sep 1920 Galician S.S.R. government evacuates Ternopil'. 19 Sep 1920 Polish occupation of Tarnopol' (Ternopil'). 23 Sep 1920 Galrevkom dissolved in exile, area re-occupied by Poland. peace treaty (ratified 30 Apr 1921). 28 Nov 1886 - 14 Oct 1890 Jan Dzierżysław Graf Tarnowski z (b. 1835 - d. 1898) Con? 17 May 1914 - 1 Nov 1918 Stanisław Jakub Ritter von (b. 1860 - d. 1941) Con? 1 Aug 1914 Supreme Ukrainian Council organized in L'viv. Hungary to become autonomous unified Ukrainian region. 18 Oct 1918 Ukrainian National Council established. 1 Nov 1918 Ukrainian State (independence from Austria [Galicia]). 21 Nov 1918 Poland occupies L'viv, administration moves to Тernopil'. 21 Jan 1919 Western Ukraine claims Ruthenia. himself "Dictator of the West Ukrainian People's Republic." 30 Apr 1920 Annexation by Poland. 12 Mar 1923 Allied Conference of Ambassadors recognizes Polish annexation. Lemkiv), also called the "Lemko-Rusyn Republic." Czechoslovakia (as part of Subcarpathian Rus). in Lemko areas (by Second Congress of Lemko villages). Mar 1920 Local Lemko administration suppressed. retrospect this was called the "Komancha Republic"
(Komanchan'ska Republika), or sometimes "East Lemko Republic." into Poland (Syanik County named Sanok County). Podil's'kyy), Bratslav and part of Kiev provinces. (confirmed by Treaty of Żurawno 17 Oct 1676). 22 Sep 1699 Ottomans evacuate Kamieniec Podolski/Kam'yanets'-Podil's'kyy. 1359 Part of the Principality of Moldavia. 31 Aug 1774 Occupied by Austria. 2 Jul 1776 Boundaries defined by Austrian-Ottoman convention. 12 Oct 1777 Formal submission of the population. (Czernowitzer Kreis also in semi-official use). 1 Nov 1790 Autonomous in name (patent cancelled 13 Apr 1817). adopting the style Herzog der Bukowina ("Duke of Bukovina"). 29 Sep 1849 Imperial patent grants a constitution (cancelled 31 Dec 1851). 29 May 1854 Fully separated from Galicia. 1 Sep 1860 - 26 Mar 1861 Subordinated to Galicia. 30 Aug 1914 Austria evacuates Czernowitz. 2 Nov 1914 - 26 Nov 1914 Austria re-occupies Czernowitz. 26 Nov 1914 - 17 Feb 1915 Russia re-occuppies Czernowitz. 17 Feb 1915 - 18 Jun 1916 Austria again re-occupies Czernowitz. 18 Jun 1916 - 3 Aug 1917 Russia again re-occuppies Czernowitz. 3 Aug 1917 Austrian adminstration restored. 6 Nov 1918 Ukrainian-Romanian joint administration. 11 Nov 1918 Romanian intervention. to join Ukraine, while Southern Bukovina votes to join Romania. 28 Nov 1918 Union with Romania proclaimed. 31 Dec 1918 All of Bukovina incorporated into Romania. 25 Jun 1941 Occupied by Germany and Romania. 29 Mar 1944 Occupied by Soviet Union. 15 Sep 1947 Re-incorporation of Northern Bukovina into Ukrainian S.S.R. (as part of Soviet Union; de facto from 29 Mar 1944). Rusyn People's Council with Mikhail Mihalich as chairman. Oreszt Szabó requesting autonomy within Hungary. Brashchayko voting to join Ukraine. moves to Eperjes (Prešov) electing Anton Beskid as its chairman. (Prešov). It declares union with Czechoslovakia on 31 Jan 1919.
and elects a Rusyn People's Council under Mikhail Brashchayko. and a Regent's commissioner (effective 25 Dec 1918). Luigi Ciaffi, Hungarian administration moves to Csap (Čop/Chop). 18 Jan 1919 Romania occupies Máramarossziget (Sighetu Marmaţiei). Brashchayko is elected chairman of a Central People's Council. 21 Jan 1919 Western Ukraine claims Ruthenia (to no effect). 12 Apr 1919 Rusyn Region proposed as a separate regional union (not effected). on 23 Apr 1919, and Beregszász (Beregovo/Berehove) 28 Apr 1919. 28 Apr 1919 Czechoslovakia and Romania occupy Munkács (Mukačevo/Mukacheve). 3 May 1919 Czechoslovakia occupies Csap (Čop/Chop). 21 Jul 1919 Czechoslovakia occupies Beregszász (Beregovo/Berehove). be determined by census after 9 months. the Czechoslovak government until 1939. Ruthenia (Rusínsko). Rusyn is made primary language of education. districts with 20% threshold of citizens. by the Treaty of Saint-Germain-en-Laye (signed 10 Sep 1919). 30 Aug 1920 Romanian withdrawal from Subcarpthia completed. by the Treaty of Trianon (signed 4 Jun 1920). Czechoslovakia and the autonomy of Slovakia and Subcarpathia. Subcarpthian Ukraine and nominating an autonomous government. 12 Oct 1938 Autonomous government takes office. to Khust on 22 Nov 1938. 13 Nov 1938 Ceded areas re-annexed by Hungary. 25 Nov 1938 Ukrainian is made the official language. state language (proclamation dated 14 Mar 1939). on 17 Mar 1939), military administration effected 18 Mar 1939.
declared a military Operational Zone. 8 Sep 1944 Soviet invasion begins. under the minister of economy as government delegate. Council, which in turn later that day forms a 10 man main board. having joined the Central Rusyn People's Council). Note: Names are given in Russian (with various notes) from 1917. For the period 1991-2014 names are given in Russian with Ukrainian in parentheses. Russian and Ukrainian BGN/PCGN romanization system. c.480 BC - 341 AD Southern Crimean coast part of Bosporan (Bosporos) Kingdom. 114 BC - 63 BC Bosporos a vassal of the Pontic (Pontos) Kingdom. annexed by Rome 62-68 AD as part of Moesia Inferior). c.300 - c.375 Ruled by the Goths. c.375 - c.500 Ruled by the Huns. c.500 - c.750 Rule by the Goths (restored). c.750 - c.900 Khazar rule. c.900 - c.1030 Pechenegs (Pachinak) rule. c.1030 - 1239 Cuman-Kipchak (Kypchak) rule. 1239 - 1428 Mongol Golden Horde (Ulus of Jochi) rule. 1434 - 1441 Re-occupied by the Golden Horde. 1475 - 1774 Crimean khans vassals of the Ottoman Empire. Jul 1771 - Sep 1774 Russian occupation. 12 Aug 1771 Under Russian protectorate. 9 Feb 1773 Russia-Crimea treaty of peace and alliance (signed 12 Nov 1772). Treaty of Küçük Kaynarca (Kuchuk Kainarji)(ratified 24 Jan 1775). Mar 1777 - Jun 1779 Russian occupation. as governorate of Tauria/Taurian governorate). 30 Mar 1856 the Allies evacuate the Crimea on 12 Jul 1856). 22 Mar 1917 Soviet at Simferopol' inaugurated. 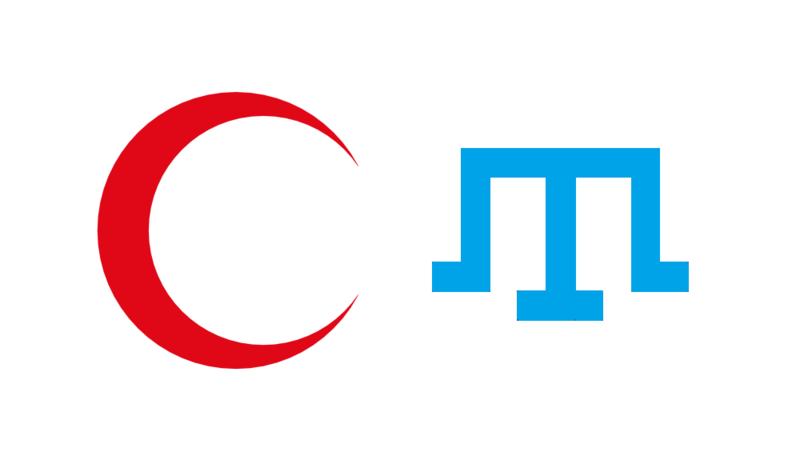 7 Apr 1917 Crimean Muslim Executive Committee ("Musispolkom") established. 9 Dec 1917 Tatar Kurultay (Qurultay) inaugurated at Bakhchisaray (Bağçasaray). 27 Jan 1918 Simferopol' occupied and Tatar government is suppressed. provincial commissioner restored is restored on 27 Apr 1918). German protectorate until 15 Nov 1918). Charles Amet (b. 1861 - d. 1940). 11 Apr 1919 "White" Russian forces evacuate Yalta. on 16 Nov 1920 and Yalta 17 Nov 1920). 5 Dec 1936 Renamed Autonomous Soviet Socialist Republic of the Crimea. Simferopol' on 13 Apr 1944 and Sevastopol' on 9 May 1944). (from 26 Jun 1944 Greeks, Armenians & Bulgarians as well). 25 Jun 1946 Reduced to Crimean oblast (by decree of 30 Jun 1945). 19 Feb 1954 Crimea transferred to the Ukrainian S.S.R. by Russian S.F.S.R. A.S.S.R. within the Soviet Union. 26 Feb 1991 Autonomous Soviet Socialist Republic of the Crimea (restored). 4 Sep 1991 State sovereignty declared by Crimea. Council of Crimea, confirmed by new constitution 6 May 1992). that not be exchanged with another country. a referendum, which is never held. 21 May 1992 Act on independence cancelled. in its constitution (not recognized by Crimea). 31 Mar 1995 - 19 Aug 1995 Direct rule by government of Ukraine. 14 May 1998 Autonomous Republic of Crimea (name recognized by Crimea). 27 Feb 2014 Parliament occupied by pro-Russian demonstrators. joining Russia, to be a approved by referendum. 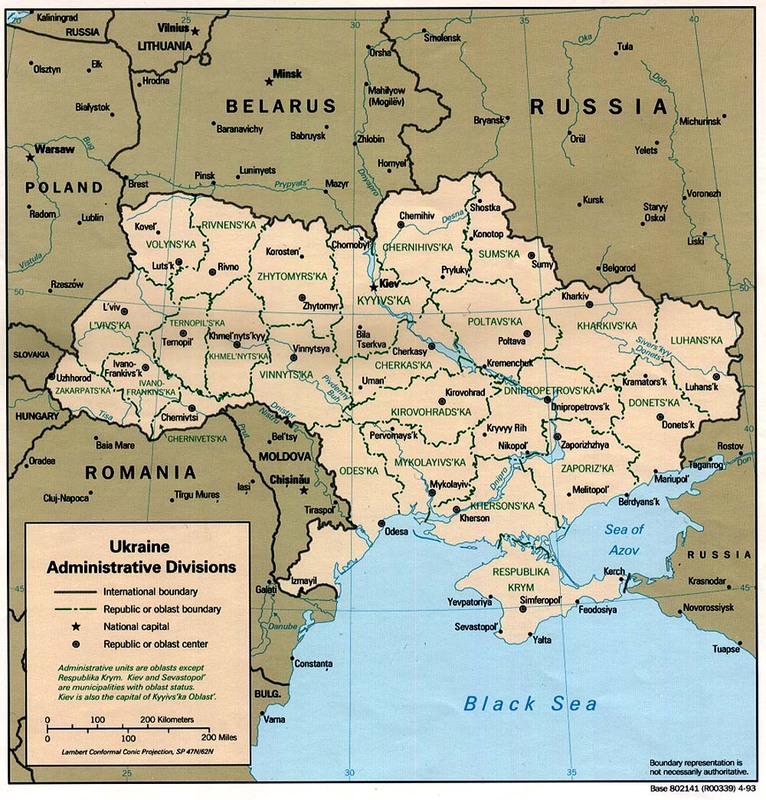 15 Mar 2014 Ukraine government declares direct rule (to no effect). accession to Russia; recognized by Russia, but not Ukraine. Territorial Disputes: The Ukraine, U.S. and most other nations do not recognize Russia's 21 Mar 2014 annexation of Ukraine's Autonomous Republic of Crimea and the municipality of Sevastopol', nor their re-designation as the Republic of Crimea and the Federal City of Sevastopol'. c.540 - Apr 1204 Byzantine Empire rule over the Southern coast of Crimea. 988 Chersonesos (Khersones/Cherson) sacked by Kiev Rus'. Apr 1204 - 15 Aug 1461 (Byzantine) Empire of Trebizond rule over the Southern coast. 1204 - 1261 Theodosia (Feodosiya [Kaffa]) under Venetian Republic rule. 1224 - 1239 Sudak (Sougdaia) occupied by the Rum Seljuqs. 1256 - 1274 Sudak under Venetian rule. 1266 - 1296 Kaffa (Caffa) ruled by Republic of Genoa. 1274 - 1287 Sudak under Genoese rule. 1287 - 12 Jul 1365 Sudak under Venetian rule. 1296 - 1307 Kaffa occupied by the Venetians. or "Gazaria," and in Cerchio [Kerch] 1318-1475). 1399 Cersona (Cherson) is completely destroyed by the Mongols. 1461 - 6 Jun 1475 Principality of Theodoro independent at Doros (Mangup). Genoese Bank styled Uffizio di San Giorgio in Genoa. 6 Jun 1475 Ottoman Empire takes control of Kaffa, ending Genoese rule. coast of Crimea under direct Ottoman rule.